Get two-gifts-in-one with this classy hand warmer and lighter duo. Gift set comes with a lighter fluid container. 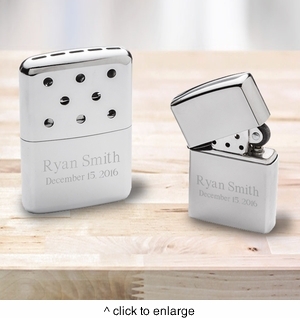 Made in the USA with Zippo’s Lifetime Guarantee. Gift box included.